The Event Room is thrilled to announce a very special Valentines Day event. 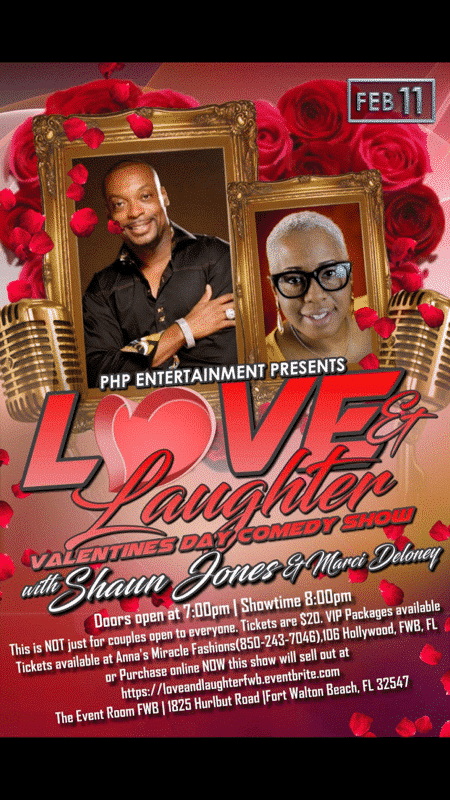 We are hosting the Love and Laughter Valentines Day Comedy Show featuring Shaun Jones and Marci Deloney presented by PHP Entertainment on February 11th, 2017 at the Event Room. Doors open at 7pm. Showtime is at 8 pm. Tickets are $20. VIP tickets are available. Tickets will be available at Anna’s Miracle Fashions at 106 Hollywood Boulevard, call them at 850-243-7046. You can also purchase your tickets online now. The Event Room is located at 1825 Hurlburt Road in Fort Walton Beach. This show is not just for couples, we welcome everyone to join us for giggles and lighthearted fun on this extra sweet holiday. Get your tickets early because this show will sell out! We all love and laughter. Whether you are enjoying a special night out with your special someone or having a night out alone or with some friends, we are certain this show will leave everyone with a smile. Singles, don’t sit at home for Valentines Day, get out and have some fun with us! 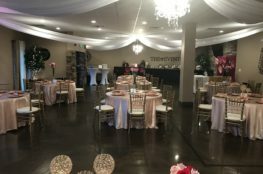 It would be an honor for us to host your special day at The Event Room! We offer a variety of packages for any type of event. 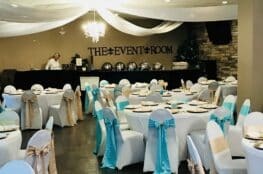 We would love to help you plan your special occasion. At our venue, we provide an extensive ala carte menu for any decorations you may need as well as a catering menu that will satisfy any palate. 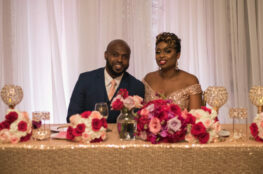 Don’t know what type of event you want to have but are wanting to plan a get together? Lashana can help you come up with a theme for a party. She is also available for complete planning assistance if needed. Call today or book with us online.